We fight aggressively to protect your rights! Being charged with domestic violence can be a very serious issue. You may be experiencing fear, anxiety, and a great deal of stress, as well as possible embarrassment about the situation. The law can be harsh and unforgiving towards alleged criminal offenders. At The Law Offices of Ty Martinez, we are intent on providing you with aggressive defense to fight for your rights. Conviction for a misdemeanor domestic violence charge could result in being sentenced to up to one year in jail, as well as paying various fines. 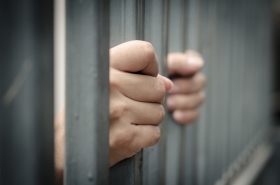 Conviction of a felony charge can result in extensive fines and up to 4 years or more in prison, depending on the circumstances of the case and a person's criminal history. Don’t let these accusations ruin your future. Take legal action today and fight your charges. Contact us now so we can evaluate your case! While it is rare for domestic violence charges to be dropped, there are certain cases in which an accuser may decide that they wish to drop charges against an accused. Unfortunately, getting a case dismissed is not that simple. Once a police report is generated, whether a case is filed or a charge is dropped is at the sole discretion of the prosecutor. Even if the accuser is uncooperative, a prosecutor can still prosecute the case. It is not uncommon for an accuser to change their mind or original statements to the police. Consequently, prosecutors do not routinely dismiss cases where this occurs because it is a common dynamic in domestic violence cases. With the help of our firm, you can have confidence knowing that your rights will be protected and your best interests are being put first. This is why it's critical to talk to a Riverside domestic violence lawyer immediately. We can help you level the playing field. Our firm offers aggressive representation and we keep our clients informed throughout the defense process. Riverside domestic violence attorney, Ty Martinez, will take the time to see that our clients understand the implications of the charges they face, as well as the possible outcomes at hand. We believe in providing our clients with real possibilities; we do not unnecessarily scare our clients with possible scenarios that are highly unlikely. We don't tell you what you want to hear just to get your money. Our firm has a track record of success while defending against even the most serious crimes. See for yourself by reading through our recent case results and victories. We understand how these cases work and we strive to provide our clients with the best possible representation. Our firm has more than 20 years of combined experience in defending people who have been charged with these kinds of crimes, and we understand how these cases work. Our legal team is made up of defenders who have extensive experience with the district attorneys and courts. Our firm has proven results, and we have been awarded the 2013 AVVO® Client Choice award for our outstanding service and excellent representation for domestic violence cases. We offer a free case evaluation so that you may obtain legal advice regarding your situation without any financial obligation or commitment on your part. Arrested for domestic violence? Get the help you deserve! Contact our firm today to speak with an experienced Riverside domestic violence lawyer about your case. We offer a free initial consultation! Our firm serves the Inland Empire, including San Bernardino, Rancho Cucamonga and Fontana.